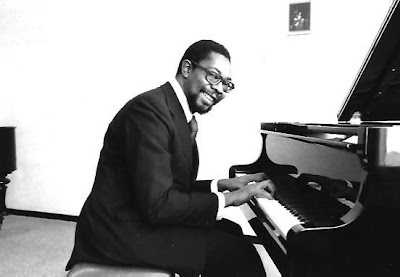 On behalf of Music Unites Jamaica Foundation, we wish to express sincere our condolences to the wife and daughter, as well as to all close musical friends, of the late Jamaican pianist and composer Oswald Russell. Since the geographical distance between Kingston and Geneva made it very difficult to be in closer contact and to show our respect for the musical work of Oswald Russell, we wish to assure the family that we are very aware of the invaluable contribution of his compositions to the Jamaican Classical Music genre. We cannot make this statement without a touch of disappointment and regret that the establishment of our Archive of Jamaican Composers, “The Samuel Felsted Institute”, was not in operation in time to research the life and work of Oswald Russell during his life time, due to the absence of a physical location to use as a base. May his passing, tragic though it is, be the wake-up call for all interested parties here in Jamaica, to speed up the process of ensuring the lease for an ideal home for this archive, as we have lost valuable and irreplaceable information by those unsung musical heroes who have passed on in recent times without being interviewed. The urge to spread the awareness of the necessity to preserve the memorable achievements of composers, such as Oswald Russell, has to be included and instilled into the national pride of the Jamaican population, especially the youth. This only can be done if there is a physical centre and archive of information, as well as by inducting those great ambassadors of Jamaican Music such as Oswald Russell, Don Shirley and many others into the list of recipients of highest National Awards and Honours.